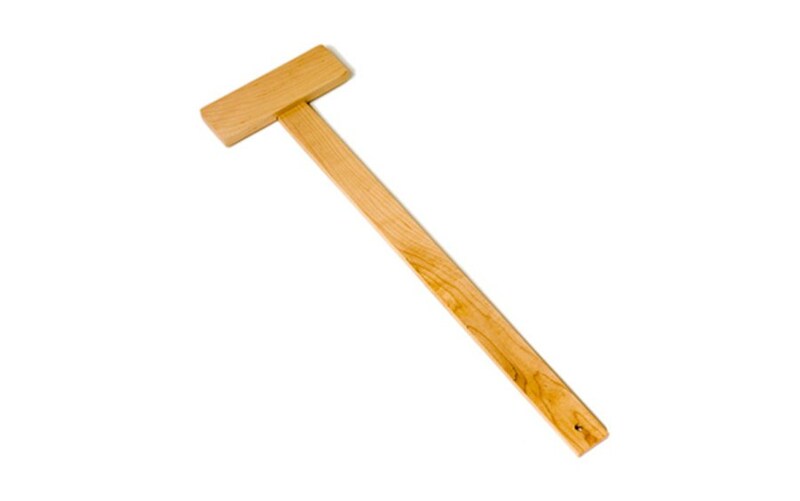 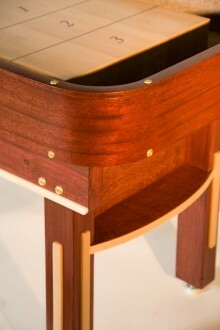 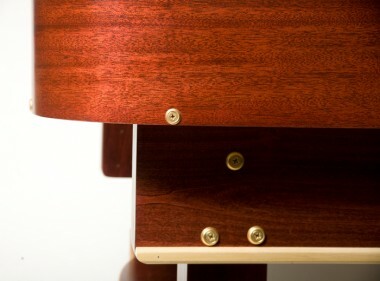 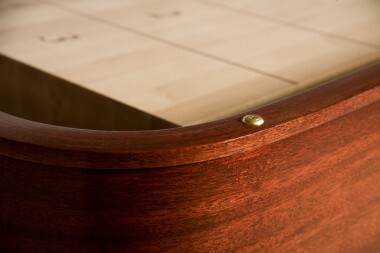 Select from 3 standard stains: Stelter Mahogany, Chestnut and Dark Walnut or add an extra personal touch with a custom stain. 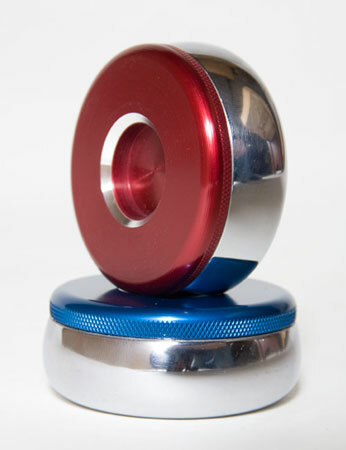 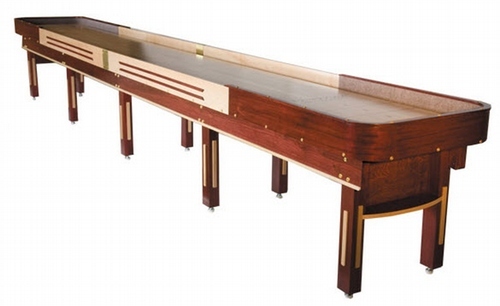 The 3" thick playing surface is coated in Venture's exclusive hard clear synthetic lacquer. 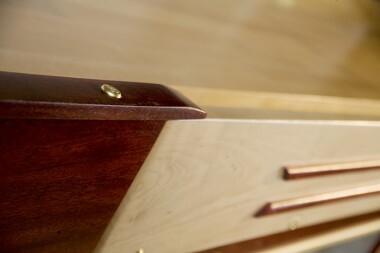 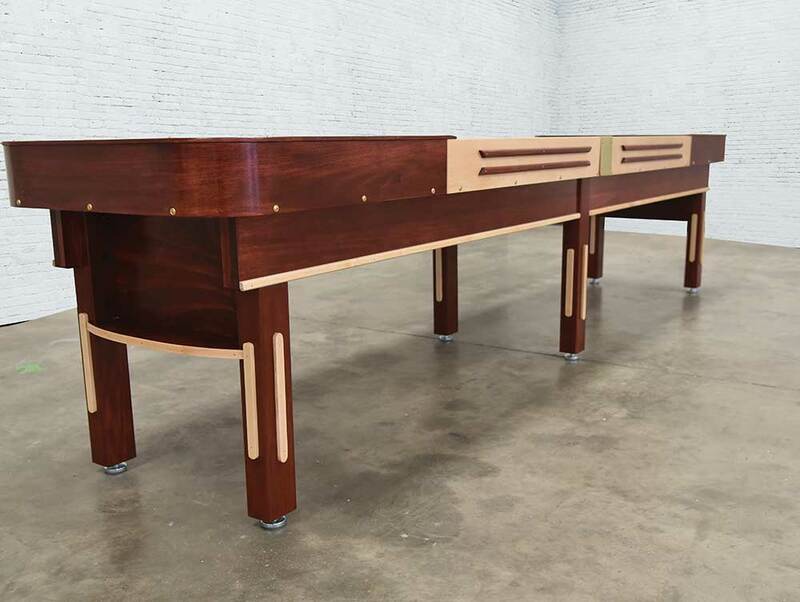 A 6 step finishing process, table gutters tongued and grooved directly into the frame, and cabinet constructed of solid woods and real wood veneers come together to create a shuffleboard table that sets the standard for stability and attention to detail. 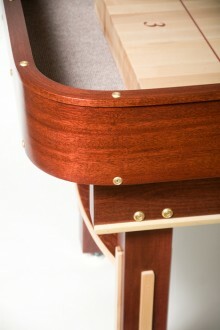 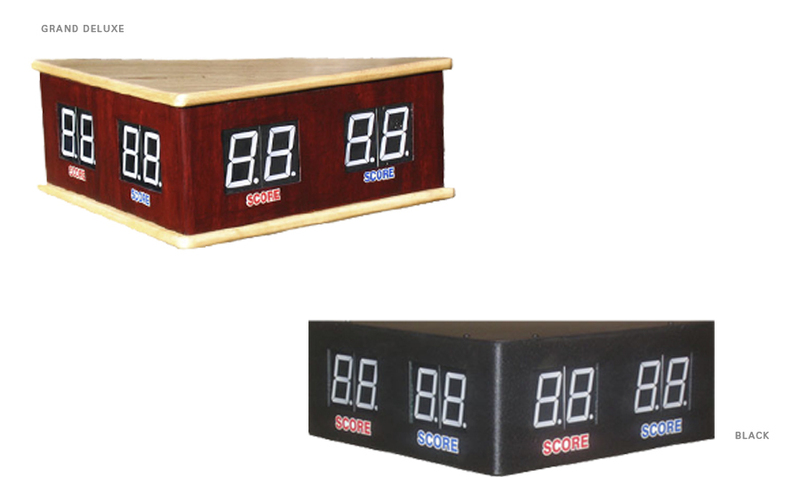 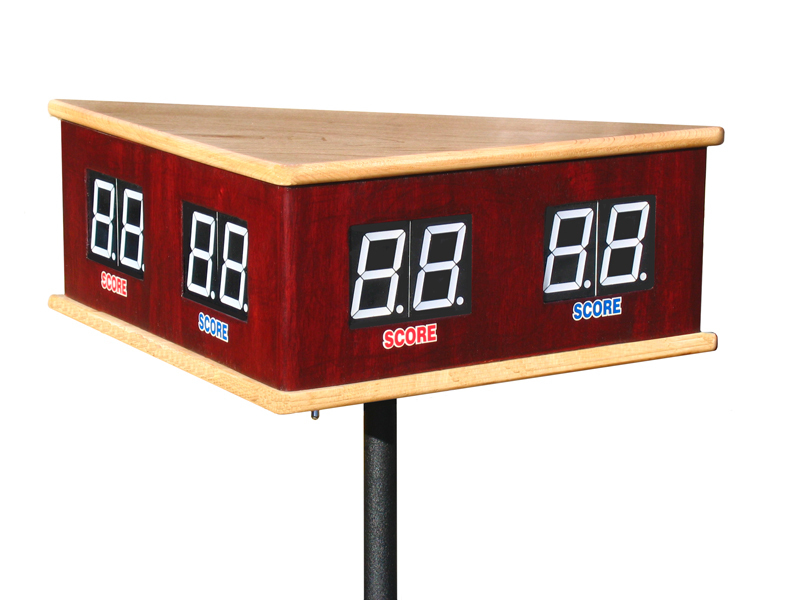 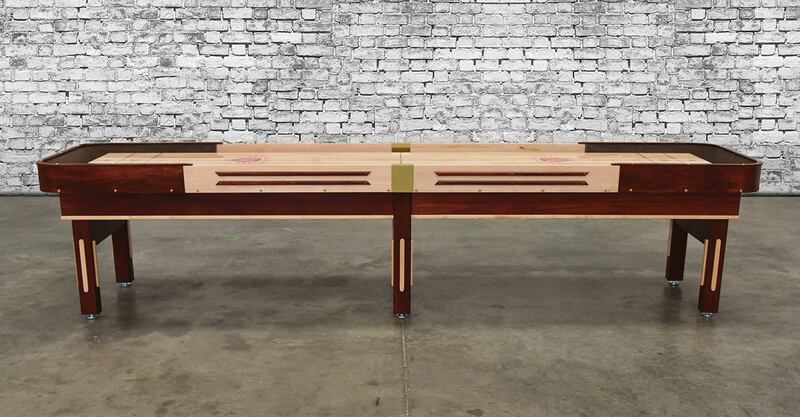 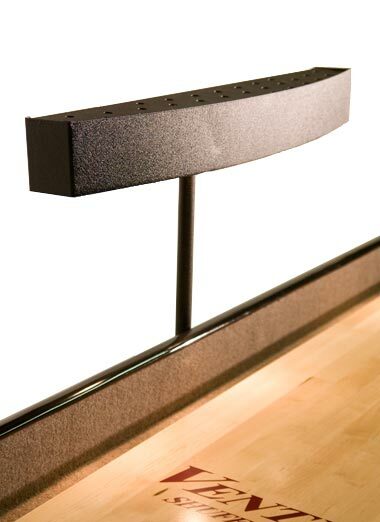 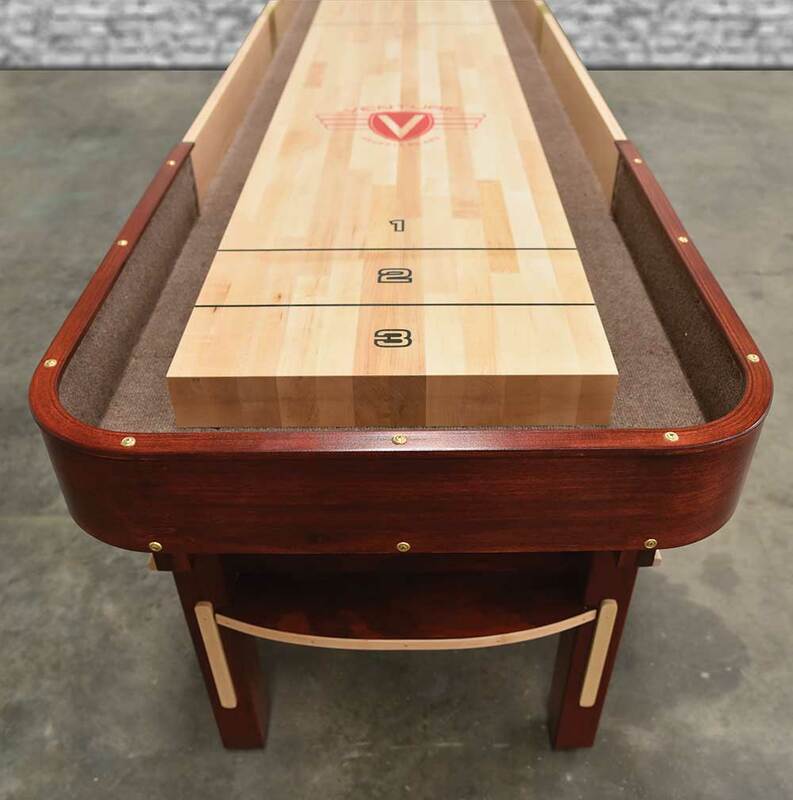 Honor shuffleboard players past and present by ordering the Grand Deluxe today!